As you can see the 2nd row, Lock Qty = 10 & Available Qty = 0. 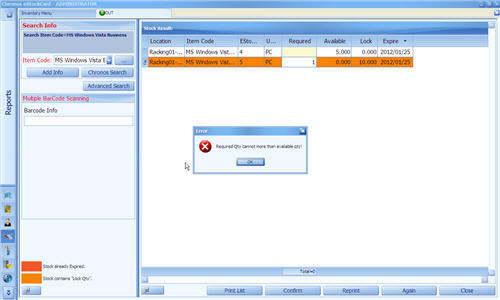 Hence, if you enter Required Qty = 10, system will prompt you with an error. 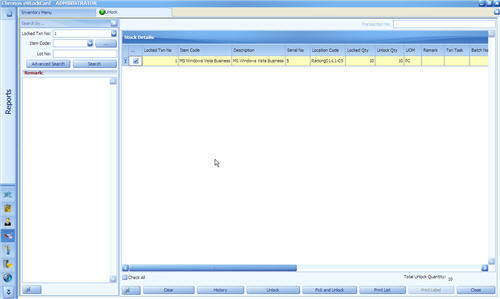 Step 2 Select “MS Windows Vista Business” from item code drop down and click “Search”. Step 4 Click “Clear” to perform new UNLOCK operation. Otherwise, Click “Close” to exit from UNLOCK screen. 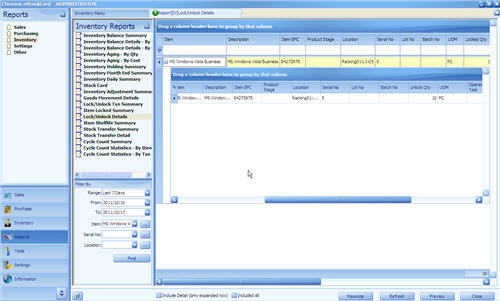 Step 1 Click “Reports > > Inventory > Lock/Unlock Details.